'Baladi' means 'my home, land and country' in Farsi and Joudie once again pays homage to her homeland of Palestine by showcasing the wide-ranging, vibrant and truly delicious dishes of this country. Baladi features recipes that are broadly categorized according to the part of the country that they primarily hail from, such as the land, the sea and the forest. Experience the wonderful flavours of Palestine through daoud basha (lamb meatballs cooked in a tamarind and tomato sauce served with caramelised onions and vermicelli rice), fatayer sabanekh (spinach, sumac and onion patties), samak Makli (fried fish selection with courgette mint and yogurt dip), halawet il smeed (buttery semolina and orange blossom dessert), and many more sensational recipes. Dishes are designed to go together and Joudie explains how to approach matching recipes together for a meal, although at the end of the day she takes an entirely flexible approach - choose what you fancy and create your own tasty combinations! 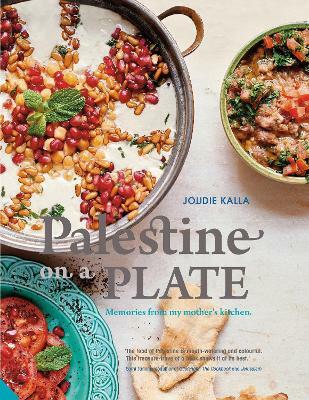 Buy Baladi: Palestine - a celebration of food from land and sea by Joudie Kalla from Australia's Online Independent Bookstore, Boomerang Books.